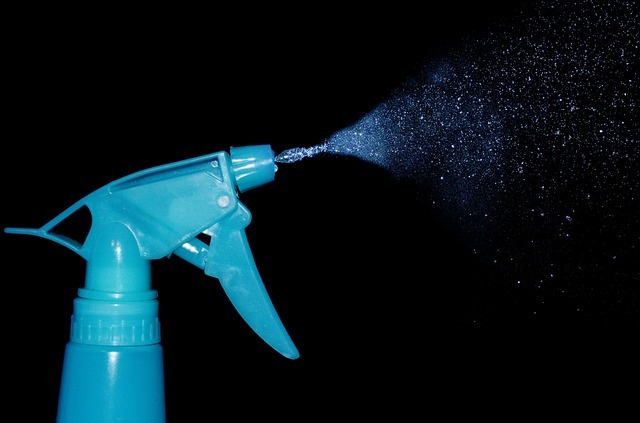 With more and more people are worried about chemicals in their home, making your own household cleaners can be a great way to save money and know exactly what you are using in your home. This is the method that’s probably closest to the commercial products you have already been used to using. You may have to find some of these items at your local supermarket or drug store for this recipe. Combine the ammonia, alcohol, dish-washing liquid, and food coloring, then add enough water to make 1 quart. The blue food coloring is to make sure that you know what it is in the bottle. If you prefer a cleaner without ammonia, substitute 3 tablespoons vinegar or lemon juice for the ammonia. All you need to do here is fill a spray bottle with equal parts vinegar and water. Then you use it as you would any other glass cleaner. All you have to do is be used to the obvious vinegar smell after. Honestly, though, it smells better than most chemical-based products. Whichever method you choose, you’ll get the same results, if not better, than a commercial cleaning product, while saving a bunch of money in the process. Not only that, but you won’t ever have to worry about the chemicals being used in your home, since you know exactly what you’re using.